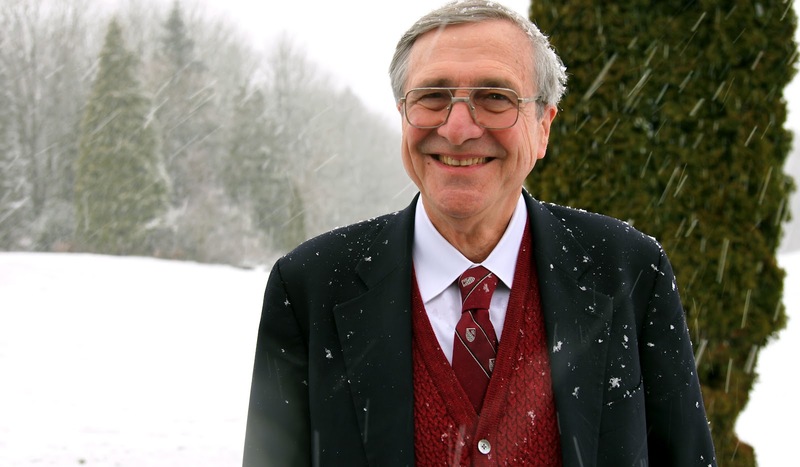 Peter Kreeft is a Catholic philosopher, C.S. 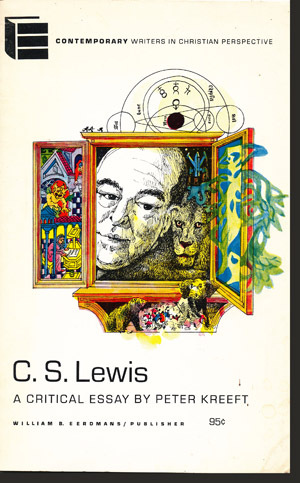 Lewis scholar, and a contributor to the genre of Screwtape-style letters. This piece is an excerpt from his Fundamentals of Faith, and is available here. The hell with hell! says the modern mind. Of all Christianity’s teachings, hell is certainly the least popular. Non-Christians ignore it, weak Christians excuse it, and anti-Christians attack it. Why do we believe there’s a hell? Not because we’re vindictive. “Vengeance is mine, I will repay, says the Lord.” Why, then? Simply because we’ve been told, by Christ himself. There’s a popular fallacy that Jesus spoke only comforting words and that the fear of hell began with Saint Paul. The textual truth is the opposite: Jesus uttered many “hell fire and damnation” sermons, while nearly all the passages that offer any hope to the universalist (who believe all men will be saved in the end) are from Paul. God’s graciousness accepts even the “low” motive of fear of hell for salvation if that’s the best we can muster. His arms are open to all prodigals. He is not high-minded, like some of his detractors. All’s fair in love and war. And life is both. Hell follows from two other doctrines: heaven and free will. If there is a heaven, there can be a not-heaven. And if there is free will, we can act on it and abuse it. Those who deny hell must also deny either heaven (as does Western secularism) or free will (as does Eastern pantheism). Hell and heaven make life serious. Heaven without hell removes the bite from life’s drama. C. S. Lewis once said that he never met a single person who had a lively faith in heaven without a similar belief in hell. The height of the mountain is measured by the depth of the valley, the greatness of salvation by the awfulness of the thing we’re saved from. What is hell? The popular image of demons gleefully poking pitchforks into unrepentant posteriors misses the point of the biblical image of fire. Fire destroys. Gehenna, the word Jesus used for hell, was the valley outside Jerusalem that the Jews used for the perpetual burning of garbage because it had been desecrated by heathen tribes who used it for human sacrifice. In hell you make an eternal ash of yourself. Hell is not eternal life with torture but something far worse: eternal dying. 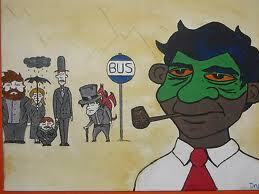 What goes to hell, said C. S. Lewis, is “not a man, but remains”. The images for hell in Scripture are horrible, but they’re only symbols. The thing symbolized is not less horrible than the symbols, but more. Spiritual fire is worse than material fire; spiritual death is worse than physical death. The pain of loss—the loss of God, who is the source of all joy—is infinitely more horrible than any torture could ever be. All who know God and his joy understand that. Saints do not need to be threatened with fire, only with loss. “All your life an unattainable ecstasy has hovered just beyond the grasp of your consciousness. The day is coming when you will wake to find, beyond all hope, that you have attained it—or else that it was within your grasp and you have lost it forever” (C. S. Lewis). Jesus says the way to hell is broad and many find it and that the way to heaven is narrow and few find it. And he means it: you don’t get to heaven simply by being born, by being nice, or by oozing into an eternal growth experience. But “few” here does not mean that less than half of mankind will be saved. For God speaks as our Father, not our statistician. Even one child lost is too many, and the rest saved are too few. The good shepherd who left his ninety-nine sheep safe at home to rescue his one lost sheep found even 99 percent salvation too “few”. The most important question about hell, as about heaven, is the practical one: What roads lead there? They are interior, of course. In fact, heaven and hell may be the very same objective place—namely God’s love, experienced oppositely by opposite souls, just as the same opera or rock concert can be heavenly for you and hellish for the reluctant guest at your side. The fires of hell may be made of the very love of God, experienced as torture by those who hate him: the very light of God’s truth, hated and fled from in vain by those who love darkness. Imagine a man in hell—no, a ghost—endlessly chasing his own shadow, as the light of God shines endlessly behind him. If he would only turn and face the light, he would be saved. But he refuses to—forever. Just as we can attain heaven by implicit as well as explicit faith (“Saint Socrates, pray for us,” says Erasmus), so hell too can be reached without explicit rebellion. This is the terrible—and terribly needed—truth taught by C. S. Lewis in The Great Divorce and Charles Williams in Descent into Hell. We can drift, slide, even snooze comfortably into hell. All God’s messengers, the prophets, say so. We desperately need to hear this truth about hell again, simply out of honesty, because it is there. And also out of compassion. For when an abyss looms ahead, the least compassionate thing to tell the traveler is “peace, peace, when there is no peace”. Out of love for God and man, let us tell the truth about hell! Sure, we’ll be mocked as vindictive, manipulative, or fundamentalist. Let it be so. Sometimes it seems that we’re more afraid of sharing our Lord’s holy unrespectability than of hell itself. It’s a small price to pay for the salvation of a single infinitely precious soul. And that is the business we’re supposed to be in. This entry was posted in Memorable Quotes and tagged C.S. Lewis, George MacDonald, heaven, hell, hell fire and damnation, Peter Kreeft, religion, The Great Divorce, theology. Bookmark the permalink. ‘Tis the inevitable fate of all who faithfully follow Jesus. “Saints do not need to be threatened with fire, only with loss.” yes. “But “few” here does not mean that less than half of mankind will be saved. For God speaks as our Father, not our statistician. Even one child lost is too many, and the rest saved are too few.” Where is this quote from? I think that Kreeft said it–it sounds like him. I just popped into quote format to hilight it. I’m not very sophisticated on formatting.